If you're in the mood for a quiet, low-key story, with no theatrics or drama, Whiskey Kisses will hit the spot. This is a novella (under 100 pages) told from Jim's first-person POV. Jim lives in a small Irish town and isn't out to anyone. Homophobia is still very much alive and well, so he prefers to hide. Jim manages a whiskey distillery, and his office window faces the pub where his sister works. 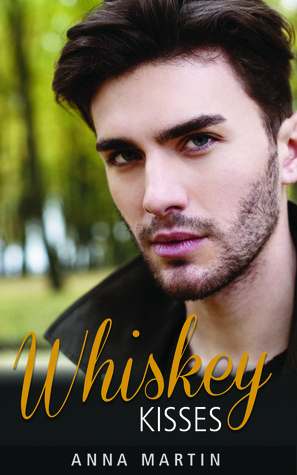 His sister has a crush on the new artist in town, a man named Aiden who lives above the pub. But Aiden only has eyes for Jim. Jim and Aiden begin an easy relationship that they keep under wraps, although Jim does come out to his mother. There is no tension or relationship angst, save for Jim thinking Aiden, who has a sad but not unexpected backstory, will leave him. The steam is on the low end of moderate, and the ending is a tentative HEA. I never felt like I got to know Aiden, and the romance was underwhelming, but Martin's writing is always pitch perfect.